Boat Shows? What Boat Shows? We usually round up the weekend’s boat shows on Thursday, but there are no boat shows in the US this Labor Day Weekend, as most boaters are traditionally out on the water for what could be one last summer adventure. 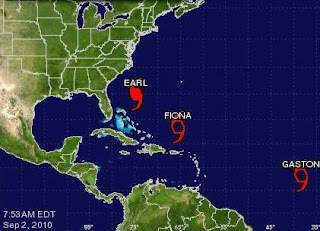 But there will not be much boating either - at least on the east coast where boaters are frantically reviewing their options to protect their vessels from the threat of Hurricane Earl. Up and down the eastern seaboard, the US Coast Guard is reminding people who own boats to get them out of the water, if they can. By now your marina is likely to tell you that it is too late to haul your boat, as they are jam packed. 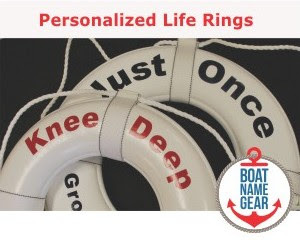 If this is the case, your boat should be properly secured and any loose items should be taken off the boat. Of course, “Properly secured” carries a lot more meaning when you’re facing a hurricane - you don't want to be the owner of the one boat that breaks free and wreaks havoc in your harbor. Don't be that guy! Check out the hurricane guide for boaters on FirstBoat for easy instructions on how to make sure your boat is secured the right way. Stay informed – The public should monitor the progress and strength of Earl through local television, radio and internet. Boaters can monitor its progress on VHF channel 16. Information on small craft advisories and warnings can also be found on VHF channel 16. Evacuate as necessary – If mandatory evacuations are set for an area, the public is urged to heed evacuation orders. Coast Guard personnel and other emergency responders may not be able to evacuate those in danger during the storm. Be cautious of hazardous materials – If you have hazardous materials on or near the water, you are responsible for any spills that may occur. Take the necessary precautions to secure them prior to any heavy weather. Back to boat shows for a moment… Our handful of readers in the Netherlands would be offended if we didn’t mention the Amsterdam in-water Boat Show which is going on now through Sunday. The rest of the world should gear up for a boat load of events beginning next weekend – check our calendar of boat shows to find one near you, or maybe one worth traveling to. Here in New England, we're looking forward to all our local shows over the next few weeks - Newport's 40th anniversary, Atlantic City and the return of the Fall Boat Show in Boston to name a few. Be sure to check the Boston show's site for discount coupons. 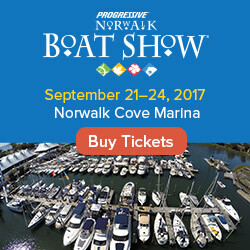 Stay safe this weekend so we can see you at the boat shows starting next week.